With the interest rates on savings accounts having been stuck at record levels for more than 5 years now, many retirees are finding it difficult to get by and live any kind of a decent lifestyle on the income they have coming into the household. As a result many of these retirees begin to think about the possibility of utilising some of the equity in their home to improve their lifestyle during retirement. This is a big decision and the full impact of taking a decision like this should be thoroughly considered. If after careful consideration and seeking professional advice you still feel that tapping into some of your equity is the right move for you then here are 5 ways you could consider doing this. When people usually want to gain access to the equity in their home the first thing they would likely consider would be a remortgage. This obviously becomes a little more difficult in later years however as you probably won’t have a regular salary coming into the home and because of this you may feel that you don’t qualify for this type of borrowing. It may be more difficult to remortgage your home during retirement but it certainly isn’t a lost cause. As long as you can prove that you have the means to make the repayments and clear the mortgage loan during your retirement years then there is a good chance that you could still be eligible for a remortgage loan. In recent years some lenders have increased the maximum age for mortgage borrowers to reflect the changing demographics and longevity within society. Perhaps you really don’t want to take on any form of further borrowing but you would still like to make use of some of the equity in your home, what then? Well you could consider downsizing to a smaller property. Not only will this allow you to make use of your equity, it should also result in lower running costs for your property and a lot less cleaning and maintenance too. Equity release is another way that some people choose to access their equity. 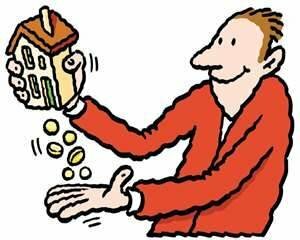 Equity release schemes provide you with a tax free lump sum to use how you wish. This cash comes in the form of a loan which is secured against your property and is repaid either when you pass away or when you enter into full time care. It’s important to remember that this cash is not a free loan. It is instead a loan which will accrue interest. This interest plus the initial loan amount will then have to be repaid from the sale of your property. Equity release schemes aren’t right for everyone so you should find out more about them and seek expert advice before embarking on an equity release scheme. Although a flexible mortgage is a kind of remortgage, I thought it deserved its own subheading because of the difference in the way a flexible mortgage works. A flexible mortgage can give you a pre-agreed drawdown limit from which you can draw down funds as and when you need them. This means that you will only pay interest on any money from the date it is drawn down. This sort of arrangement could also stop you from borrowing more than you need to. In some instances your lender may also allow you to repay any further advances you have taken without penalty, which may be useful if you are expecting some sort of lump sum to come your way in future years. If you only need a smaller amount of money then the fact that you own a property may help you in your efforts to borrow in the form of a homeowner loan. Of course, if you’re eligible for one then a standard personal loan may prove to be a better option so as not to have the debt secured against your property. Everybody’s circumstances differ and the option which may be right for one person may not be right for another. Hopefully this post will have given you more information as to the options available to help you make a more informed decision. UK Loses AAA Credit Rating ~ What Does It Mean For You? Mortgage Payment Holidays – Is It Wise To Take Them?